Caring Cutlery come made from stainless steel, they have built in handles for those with a weak grip and restricted wrist or finger movement. 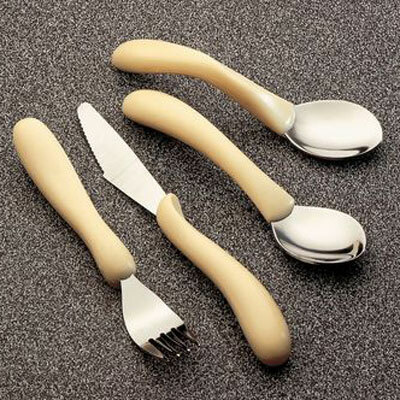 Caring Cutlery come made from stainless steel, they have built in handles for those with a weak grip and restricted wrist or finger movement. Length of Handle 5".